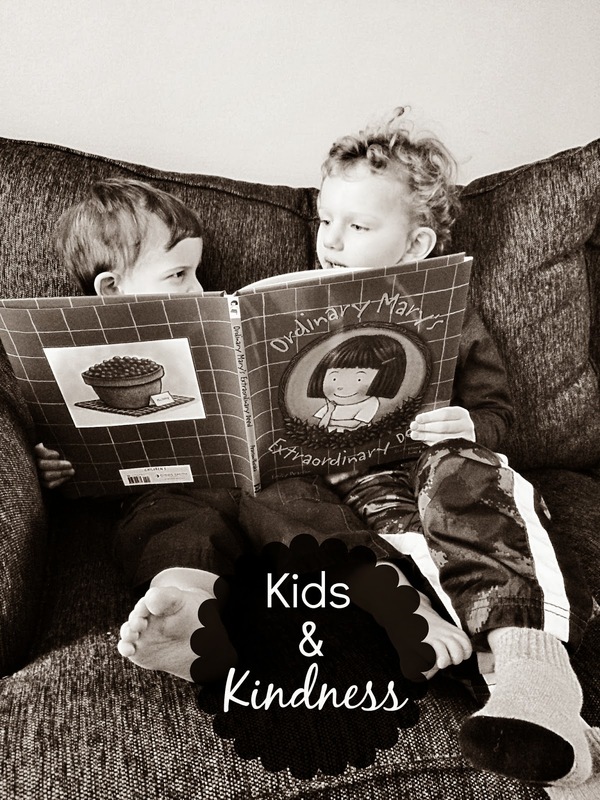 I Love You More Than Carrots: Kids and Kindness. Another Day, Another Random Act. We are no strangers to acts of kindness around these parts. If you've been following along on our adventures then you may remember the thirty random acts of kindness that my awesome sister-in-law put together for me last year as a thirtieth birthday present that started as the perfect sounding board when it came to really introducing the boys to what it meant to be kind. Sure, being kind isn't something that should be reserved for one day every so often and we are well aware of that. As a mom, I'm always seeking out opportunities to foster compassion and kindness in the boys and reinforcing what that means. Sometimes, however, it's just nice to set aside a whole day dedicated to being kind and spreading that kindness in the community around us. When our friend Courtney of The Chirping Moms reached out to us about participating in their Kids & Kindness series, we absolutely jumped at the chance. This opportunity was extra special because it involved a copy of the awesomely fun book, "Ordinary Mary's Extraordinary Deed," a story that has quickly become a favorite in our home. It's a heartwarming and beautifully illustrated story about Mary, an ordinary little girl who does an ordinary little deed that sets off a giant chain reaction of kindness around the world. The kindness eventually comes full circle and rewards Mary even further at the end of the story. We spent about a week reading this book before bedtime each night and talked a little bit about what it meant to be kind. Carter, at 3.5 years old, picked up mostly on saying nice words, sharing toys and being a good friend. Maclane, at 1.5 years old, mostly likes to run around the house saying, "be nice friend!" When it came time to do our own act of kindness, it didn't take long for us to figure out just what we would do. As I'm due with our third little boy in less than two weeks, we've received such an outpouring of help these last few weeks from so many friends that we wanted to take the day to return the favor and say "thank you." From offers of cooked meals and child care to dropping everything and chauffeuring me to the doctor's office during a bout of pre-term labor, we couldn't be more grateful for our friends who have bestowed kindness on us. I knew right away that we would use our day to give a little bit of that kindness back to them. We started the morning bright and early as we gathered in the kitchen in our pajamas to bake some cookies. As the boys waited patiently for them to finish, we put together our fancy little treat bags and read "Ordinary Mary's Extraordinary Deed" one more time. Once our cookies cooled, we stuffed the bags and attached a quick note that explained what we were up to. We then piled into the car and started out on our journey to spread kindness. We visited five of our friends' houses and each time we stopped, we tucked our delicious treats into their mailboxes and I reminded the boys the purpose of our adventure. Once we returned home, we sent each of our friends a quick text message letting them know to peek inside. With so many leftover cookies, we even packed a few bags and left them for our mail lady, UPS man and FedEx carrier who have all been so wonderful dropping off packages for baby as we prepare for his arrival in the coming weeks. Did we do anything extravagant this day? Absolutely not but when it comes to matters of the heart, I like to think that even the smallest of deeds make a difference. When I asked Carter what his favorite part of the day was, he happily replied, "being kind just like Mary!" Talk about the warm and fuzzies! It's one thing to invest time in your kids, raising them up to be good, decent and kind human beings. It's another when they actually get it and emulate that behavior. I've never been more proud! If our story or any of the stories you read below inspire you to do your own acts of kindness, I would love to hear about them and if you're looking for a little something extra to stuff in an Easter basket this month, I absolutely recommend a copy of "Ordinary Mary's Extraordinary Deed!" Be sure to follow the hashtag #ordinarykindness on social media to see more random acts of kindness! This is wonderful! Thank you so much for joining us in spreading kindness. I'm so glad you enjoyed the book!